A) cut ur nails really short..
E) for ur hair (some times u can get eczema their) use the body shop shampoo an conditioner (the Olive) coz its moisturizing..
* if u want to use a face cleansing wipes then try (gohnson’s 3 in 1 facial cleansing wipes for dry and sensitive skin) but that depends on ur skin type. F) you might not believe me but i have tried Accupansher and it helped me 70% , im not scratching (i only scratch when im tired, stressed, angry, hot, or allergic) big improvement for me.. it is expensive but worth it, there are no side effect at all. even though there is no guaranty, its worth a try.. but make sure u get a good person not a person that is after money..
** i know the things that i have suggested are expensive, but my advise is that given the chance to choose between medical and organic things organic is best 4 ur skin. there is no side effect and it will help ur body to restore itself by itself so in the future, ur skin will not need any help and it will start producing its one oil to cure the dryness( my skin is at that stage now). 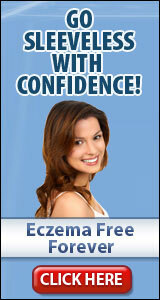 you cant cure eczema unless u do a laser operation which costs lots, an its not guaranteed forever. 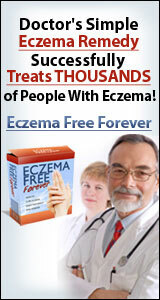 but u can reduce eczema to a minimum, and give ur skin a chance to cure itself. ** i really know how hard it is, espechely if ur using cortisone..
i really hope that this info helps you and best of luck.. This entry was posted in How to cure eczema permanently by treating it at the root cause without using any steroid creams or medication by Curing eczema the natural way without steroids. Bookmark the permalink.